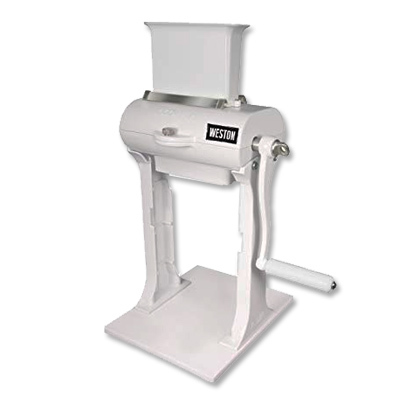 This heavy duty cuber is a cast Stainless Steel hand operated tenderizer. 26 stainless steel blades. Made of heavy duty cast stainless steel. Chute is 4-5/8" wide. Not a cheap imitation. Easily disassembles for cleaning. Comes mounted to a poly board with a 1 year warranty. 16" h x 8" w (without handle).